Product prices and availability are accurate as of 2019-04-25 13:04:19 UTC and are subject to change. Any price and availability information displayed on http://www.amazon.com/ at the time of purchase will apply to the purchase of this product. 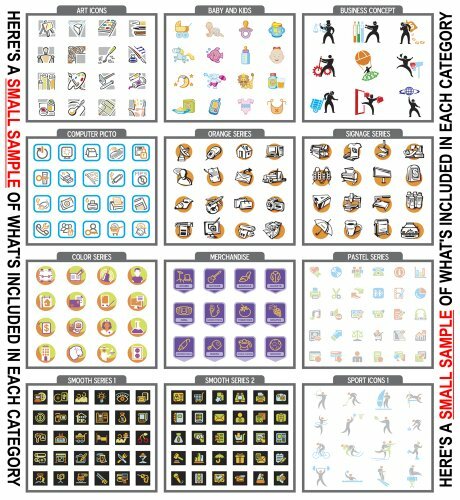 Here's a list of all the catorgies of vector icons included in this huge collection: Art Icons, Infant And Kids Icons, Company Idea Icons, Color Icon Series (7 Subcategories Included), Computer Pictograms, Product Pictogram Series (8 Subcategories Included), Orange Icon Series (3 Subcategories Included), Signs Icon Series (17 Subcategories Included), Pastel Icon Series (4 Subcategories Included), Shiny Icon Buttons, Smooth Icon Series 1 (6 Subcategories Included), Smooth Icon Series 2 (4 Subcategories Included), Sport Icons 1, Sport Icons 2, Square Animal Icons, Web Icons 1, Alphabetical Logos (A-Z Included), Concept Logos, Human Logo Designs, Arrow Symbols, Computer Icons, Fitness Icons 1, Fitness Icons 2, Fitness Icons 3, Profession Icons 1, Profession Icons 2, Square Icon Series (20 Subcategories Included), Web Icons 2, Arrow Icon Series (7 Subcategories Included), Brush Line Icon Series (7 Subcategories Included), Busy Hands Icons, Continuous Line Icon Series (7 Subcategories Included), Detailed Icon Series (3 Subcategories Included), Bonus Objects (3 Subcategories Included), Grunge Brush Icon Series (18 Subcategories Included), Pixel Icons 1, Pixel Icons 2, Plain Icon Series (14 Subcategories Included), Rough Mini Icon Series (8 Subcategories Included), Simple Icon Series (7 Subcategories Included), Web Icons 3, Web Icons 4 and Web Icons 5. 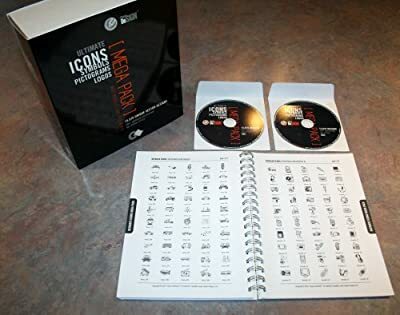 Here's a short list of what's included: 15,870 unique vector icon designs on 2 x CD-ROMs. 330 Page Full Color Hard Copy Catalog (see photos above) factory sealed inside a software box. 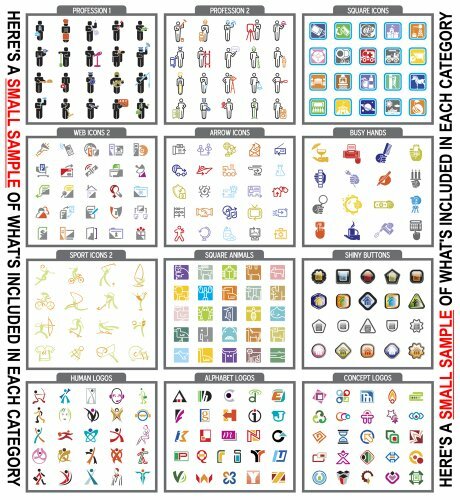 200 Thematic Collections, 2000 Logo Concepts and Ideas, 40 Visual Styles and much more. 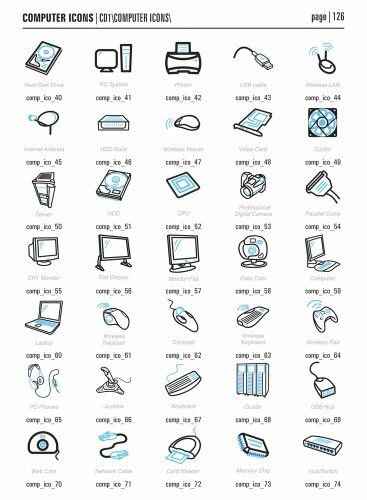 For a list of all the categories of vector icons included in this MEGA Pack please see the "Product Description" below. This MEGA package is a must have for every graphic designer, sign maker and creative professional. Expect outstanding vector image quality plus clean and exquisite details in every image. Vector images can be scaled to any size without loss of resolution. Vector images are also easy to edit, manipulate and change to cater to your job or project. 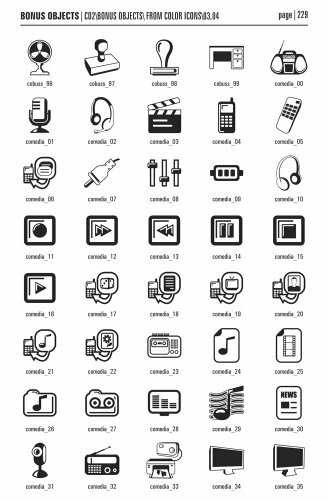 Vector Icons on popular stock agency web sites cost any where from $15 - $30 to download a set of 12-100 vector icons. 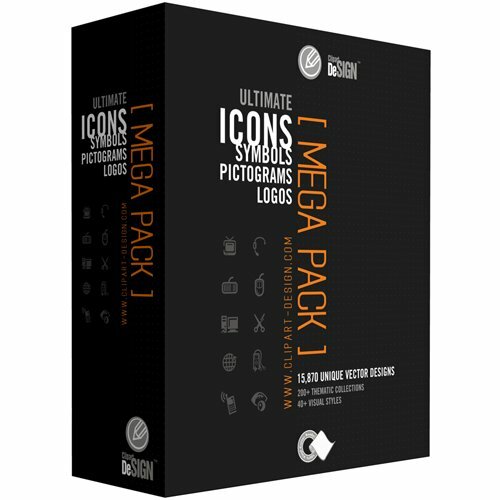 The Ultimate Icons MEGA Pack is only $99 which means each icon only costs $0.006 cents! Think about how much you will save. You will never have to buy another icon package again! Each disc is easy to browse and no installation is required to view the images. Due to their hybrid format the discs are compatible with all operating systems (including PC, MAC, Lynx, etc.). All images are royalty free and designed for commerical use. This product CANNOT be resold because the royalty free license isn't transferable. As long as you own this product you can use the images for all your commerical needs. Just like all digital goods on CD-ROM, it cannot be returned.